Over the years projects have lead me to different software packages and encouraged me to learn new languages. I've had experience with Adobe's entire suite dating back to Photoshop 6.0 in the year 2000. I've been crafting websites since the days of FrontPage and Dreamweaver, but have since moved onto full stack development using editors such as my current favorite, Visual Studio Code . I run my own virtualization servers both here at home and abroad. Requiring remote administration via SSH using up to date security policies, provisioned using the latest tools. Some packages worth noting that I've have at least some experience using. This is a band hailing from Calgary, Canada, comprised of some of the finest individuals to walk the earth. I donate the creative and hosting to the band each year as my way of saying thanks for all the fantastic music they produce. 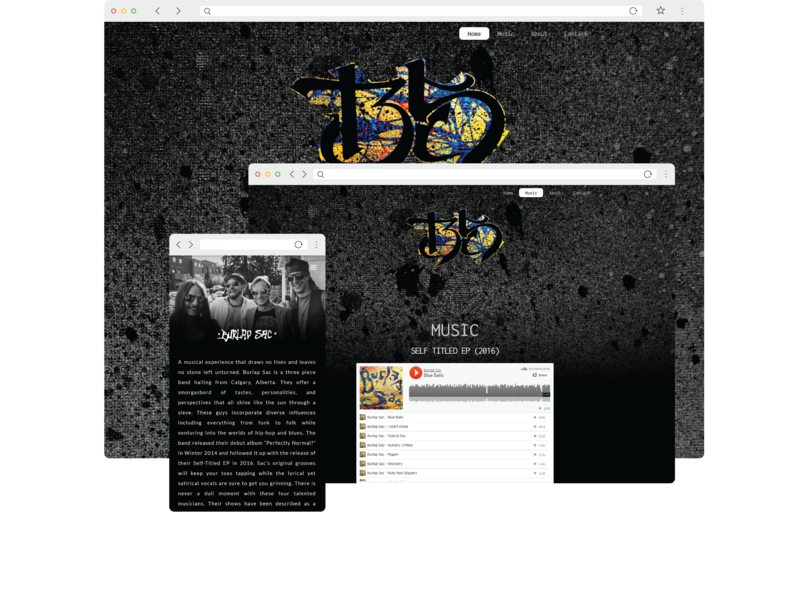 Their requirements were minimal and they provide me free reign on the design so it allows me to push the envelope a bit more than normal being such a media rich experience. 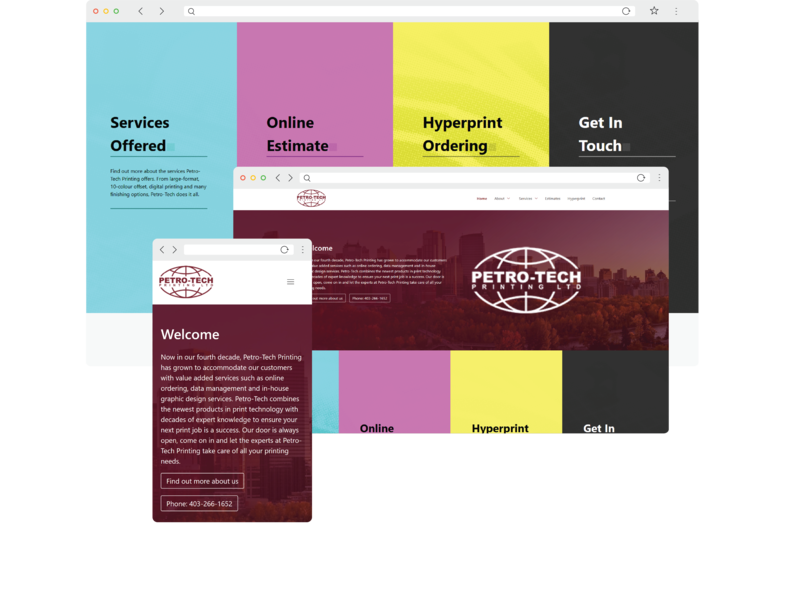 Petro-Tech Printing is a print shop in Calgary, Canada operating for over 50 years. 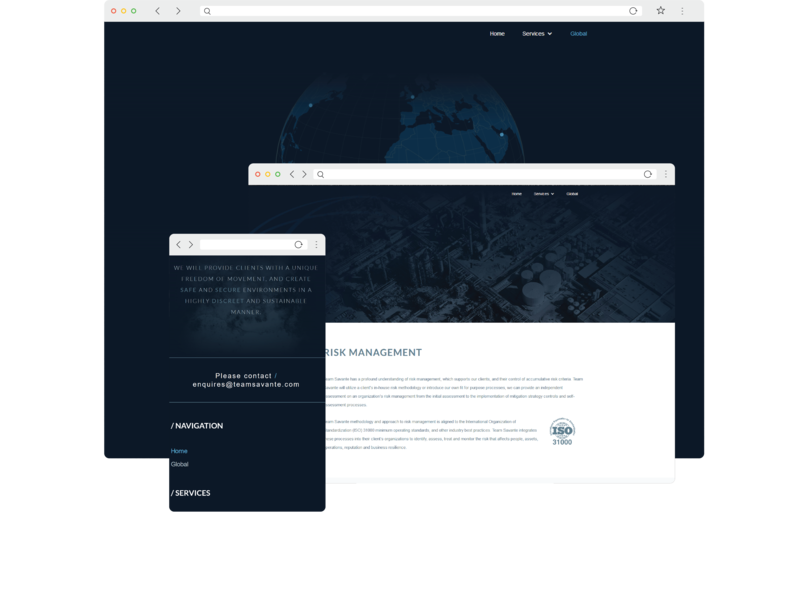 At first there was a dated site needing a modern touch, later requiring mobile access thus requiring a new template with responsive css built in. Expansion on the sites functionality required integration with a PHP handler for FTP, Email functionality and Form handling. Analytics collection for marketing campaigns utilizing QR codes and physical mail out campaigns. Wanting to do something unique with Team Savante Group's page, we arrived on the rotating globe representing their remarkable global exposure. Using libraries d3.js and TopoJSON I created an orthographic projection of the world later mapping the locations from real-world coordinates. 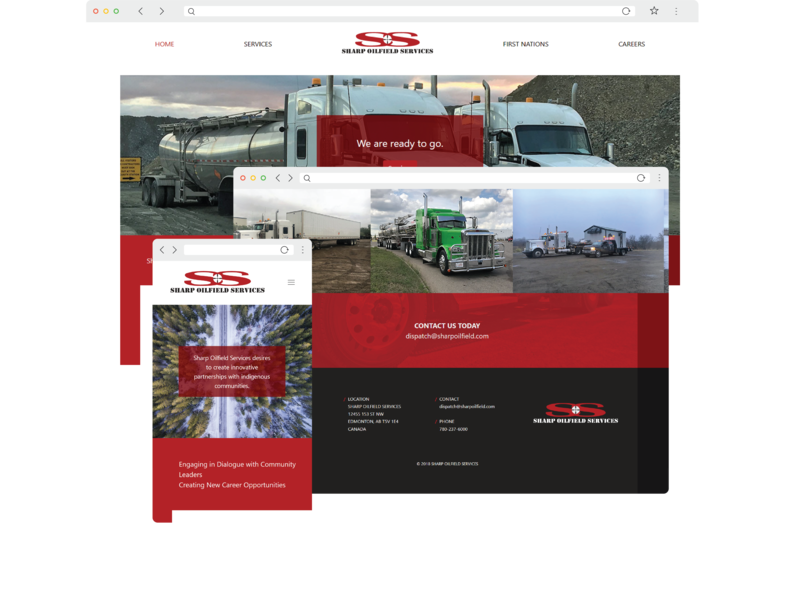 Sharp Oilfield Services is a trucking and oilfield supply outfit operating out of Edmonton, Canada. Standard business requirements, listing services and providing primary means of contact. Later expanded to a careers page with a backend managed Sharp’s HR team to create and manage job postings. 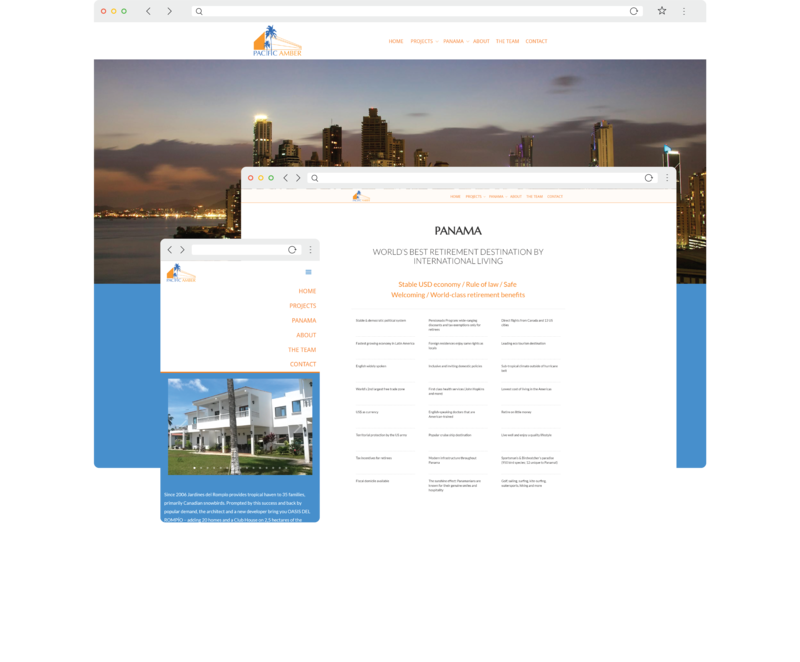 Pacific Amber is a global property developer whose latest presentation is for a property in Panama. Lending itself to a playful nature the bold colours and emphasis on the media elements we were able to convey the details of the locale. ©2019 Evan Fiddes, Echo Foxtrot Co.